This will popup a wizard dialog that you need to follow to be able to post your slide show. Click on the Start Broadcast button to start the uploading process. This can take a while depending on how big your file is. 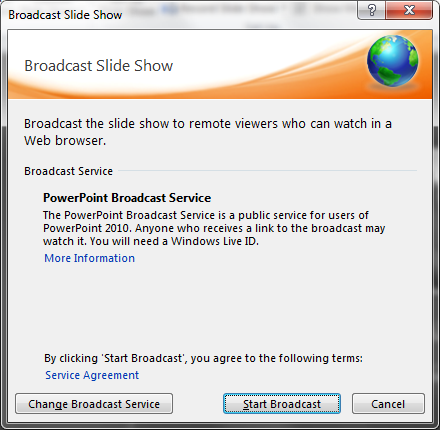 When the broadcast process is completed, you will given a window with the link to your broadcast. 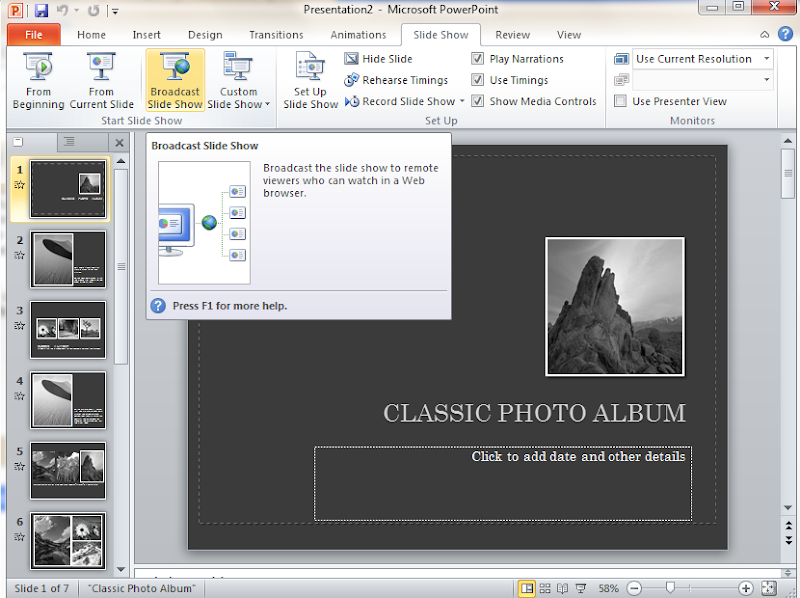 You can send this link through email to anyone you want to share your Slide Show. Take note that you'll need Windows Live ID to use this free service.